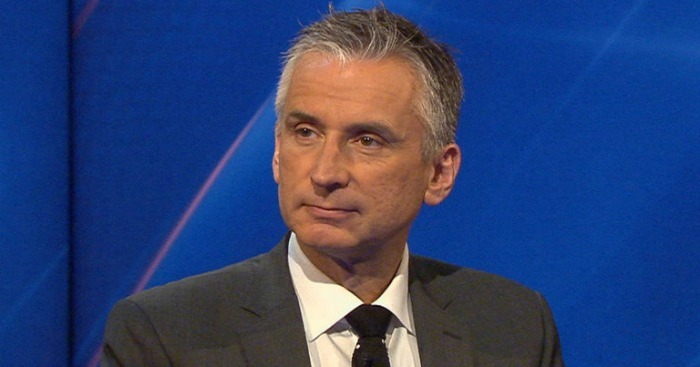 Arsenal legend Alan Smith has revealed he turned down the chance in signing for Chelsea back in his Leicester City days. Smith who is currently a Sky Sport commentator revealed a memoir from his playing days which suggests transfer business was carried out very differently back then. The 55-year-old recalls a time when he received a call confirming the Blues’ interest. “During that same winter, I received a call from [former Leicester manager] Gordon Milne to tell me Chelsea were keen. Ken Bates, the chairman, and John Hollins, their manager, wanted to travel up and talk in person,” Smith writes, in an excerpt shared by Sky Sports. “Now, I don’t know if Leicester knew the kind of fee Chelsea were prepared to pay. Maybe they did, and it was very generous, hence Gordon’s eagerness for talks to take place. “In any event, I reluctantly agreed, and so it was arranged we’d meet the following evening at the Post House Hotel in Walsall, the very place Gary Lineker had had his sponsored car defaced a few years before. “In a private room, Ken Bates spelled out Chelsea’s ambitions for the future, while John Hollins explained how I’d fit into an attack already boasting Kerry Dixon, David Speedie and the mercurial Pat Nevin. “I nodded along in all the right places, without properly listening to their argument. The thing was, I just wasn’t interested, no matter how persuasive and impressive the sales pitch. “When it came to asking questions, all I could manage was a lame query about the dodgy state of the Stamford Bridge pitch, notorious back then for cutting up. I didn’t even think to ask about money. “Stupid, that. If I had, their offer would have served as a useful yardstick for negotiations with Arsenal. Anyway, we eventually parted, with me having made it clear the move didn’t appeal. “A few years later with two league titles in the bag, I was waiting for the lift at the Grosvenor House Hotel, venue that year for the PFA awards dinner. As the doors opened, there stood Ken Bates, staring straight back. “‘Evening, Mr Bates,’ I ventured tentatively, not quite sure how this outspoken character would react. I was just stepping out at my floor when the answer came. “The lift doors were closing as I smiled back. I didn’t agree with everything Ken said during that turbulent era for Chelsea, when financial problems and hooliganism marred their reputation, but I certainly couldn’t argue with his quip that night. The Sky Sports commentator’s new book, ‘Heads Up: My life Story’, is due to be serialised this week.